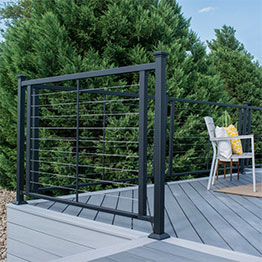 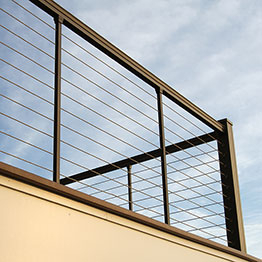 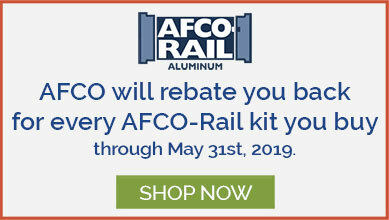 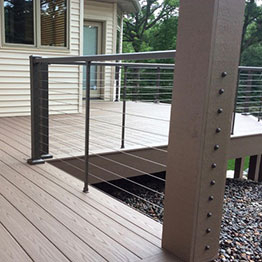 Metal Horizontal Cable railing offers you safety with the view you love, uninterrupted. 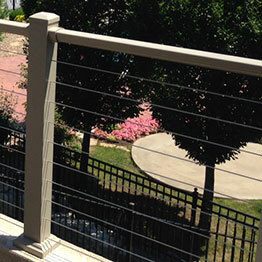 One of the most popular trends today, this railing adds a touch of modernity to your space. 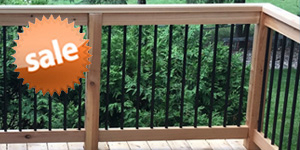 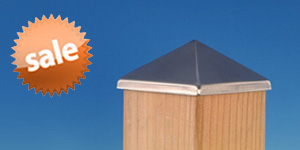 DecksDirect offers and stocks the most trusted brands to ship fast to your door.